There are many things to think about when setting up a website. The design. The target audience. The quality of the content. But one of the most important factors to consider is the site’s ability to attract visitors. For your following to grow, you need people to be able to find your website with ease. Whenever someone looks up a term that’s related to what you’re posting about, your site should be amongst the first search engine results. That guarantees exposure. And choosing a great WordPress theme is a good first step in the right direction. Not to worry, we did all the research for you. To give you hand, we’ve gathered the best SEO friendly WordPress themes below. All you have to do is choose your favorite. 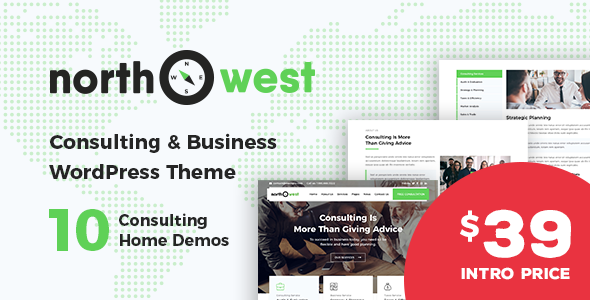 Northwest is an impressive, modern, purposeful, potent, and creative consulting WordPress theme. If you have an online consulting website this theme will fit perfectly for you. Northwest is responsive, retina ready, and SEO optimized. 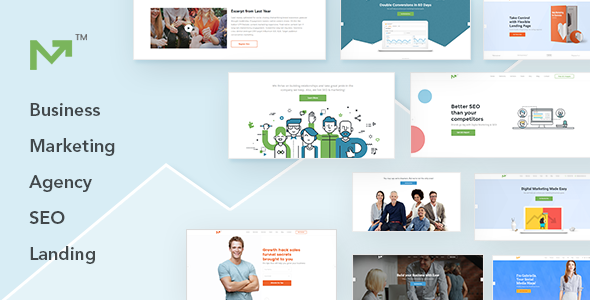 The best features included with this theme are the 10 homepage demos you can use to create a powerhouse website in mere minutes. Northwest also features unique sections, a page builder, a custom slider plugin, powerful theme panel, pre-designed pages, shortcodes, and typography options. Marketing Pro is an SEO friendly theme designed for those in the marketing industry. More specifically, business owners, digital and online marketers, and SEO experts will get the most out of this theme. For example, utilize one of 9 pre-made templates, the premium Visual Composer plugin for drag & drop page building, and the flexible landing page and event/conference layout. Additionally, notice that the demo content is niche related so that your SEO optimization is handled precisely to match your target audience needs. SmartMag is a responsive and retina ready WordPress theme with built-in SEO support using rich snippets and HTML5 code. 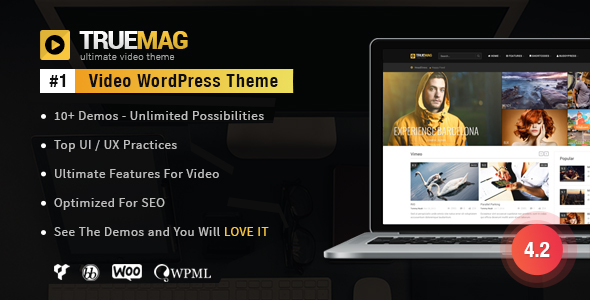 Aiming to make your content appealing, engaging, and usable, this SEO friendly theme is suitable for magazines, newspapers, review sites, and blogs. Uniquely designed demos get your website focused on the right layout, content, and target audience. Additionally, it appeals to visitors with multi-page content slideshows, easy to use navigation Mega Menus, full translation capability with RTL support. 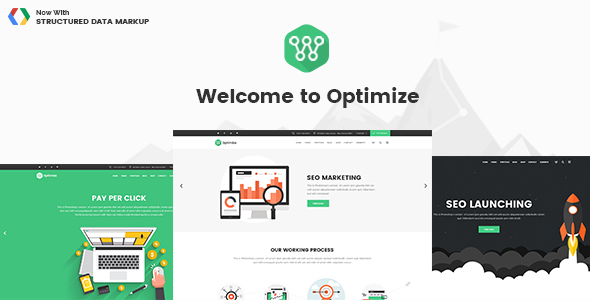 Optimize is a powerful, fast, and SEO friendly theme designed to elevate your brand and boost your SEO rankings. It comes with amazing SEO plugin compatibility (Yoast, All in One SEO, Rankie), lightning fast page loads, and beautiful page layouts. 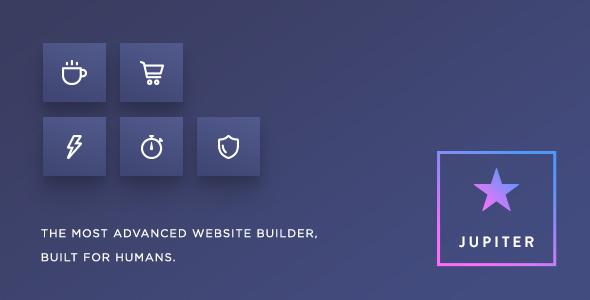 It also bundles the Visual Composer and Revolution Slider plugins, providing great value. Moreover, Optimize is WooCommerce ready so you can set up an eCommerce store with ease. All in all, Optimize is one of the best SEO friendly WordPress themes out there. ThemeGrill has an impressive collection of beautiful, flexible, and modern themes and Flash is no exception. 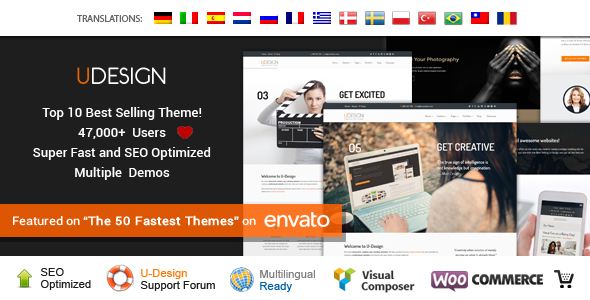 This theme is packed with useful and intuitive tools and features suitable for several of domains and purposes. Flash is a multipurpose WordPress theme that comes with an included drag and drop page builder, a flash toolkit plugin, 6 widget areas, a widget builder, footer editor, Google maps, post slider, progress bar, Instagram slider, and many more. Flash is also SEO optimized and fully responsive providing a great experience for the user. If you are still having second thoughts, just take a look at the demo and it will convince you! Although this theme mainly targets digital marketing agencies, it’s well suited for a wide range of websites. It comes with a beautiful design, but its powerful features guaranteed it a spot on our list of the best SEO friendly WordPress themes. SEO WP is built with the best SEO practices in mind. Coming in fast, well-coded, and mobile-friendly, SEO WP also boasts 10 built-in, premium plugins, offering you overall a great value. It’s also easy to customize and manage, so you don’t need any previous coding experience to get by. Yay! Jupiter promises unparalleled performance and actually delivers. It’s fast, SEO optimized, packs more than 85 templates to start with, and is very easy to use. The theme’s innovative and powerful admin area is a thing of beauty, while its features make it worth the investment. The theme offers the Visual Composer plugin and is fully integrated with WooCommerce. For amazing effects, check out Jupiter’s Edge Slideshow feature with multiple navigation and pagination styles. Gloria boasts a stunning design and comes packed with several great features. Besides being SEO-friendly, it also comes with a drag & drop page builder, offers tons of customization options, and has a powerful search function. It offers 6 unique demos to choose from and a variety of header styles. Lastly, it includes Google rich snippets support, which helps search engines better scan your website and gets you found by your target audience. 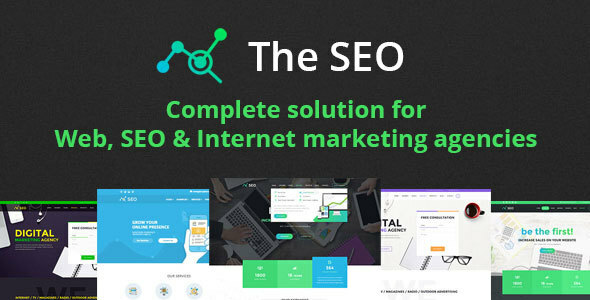 The SEO is a perfect theme solution for web, SEO, and marketing agencies looking to expand their brand and drive more traffic to their sites. For example, it comes with 5 pre-designed demos for getting you started on the right track. 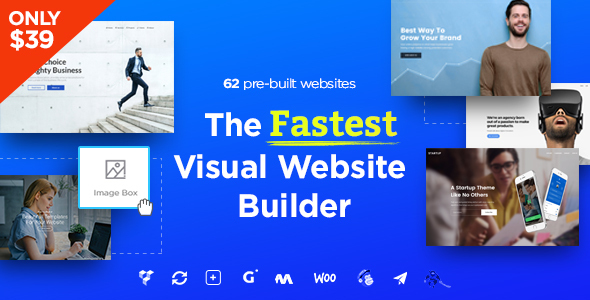 In addition, it comes with a premium page builder plugin, 125+ content elements, and advanced typography options for making your website stand out. Lastly, The SEO is packed with customizable settings for changing all things such as colors, sidebars, backgrounds, layouts, sliders, and more. Besides being SEO optimized and incredibly fast, Massive Dynamic also stands out from the crowd due to its advanced live website builder and enjoyable UX. Simply drag & drop elements, choose styles, and see the results instantly. 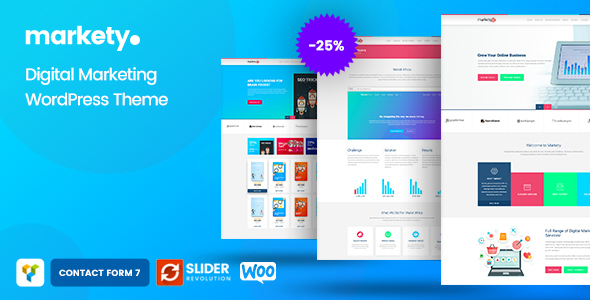 Furthermore, this theme also comes with unlimited layouts, unique shortcodes, WooCommerce integration, and several templates to choose from. In the end, Massive Dynamic is clean, simple, and offers free integrations worth $93. Now that’s what we call a bargain. uDesign is a polished and user friendly theme developed with SEO in mind. In the code hierarchy, the main content block is placed before the sidebar regardless of the sidebar position, so it is crawled first by search engines. Headings are also handled by the theme for better SEO. Besides these powerful SEO features, the theme is translation and WooCommerce ready, packs seven homepage sliders for awesome effects, and comes with blog and portfolio sections to cover every need possible. BeTheme is a robust, flexible, feature-rich, unique, highly improved, and responsive SEO friendly WordPress theme. 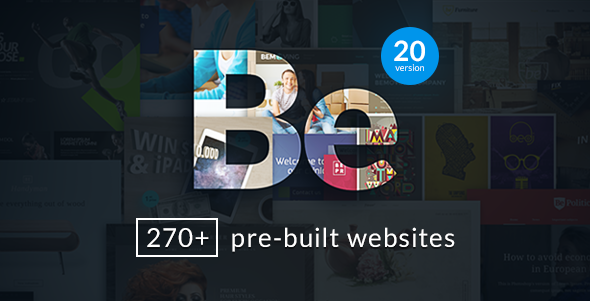 BeTheme provides an amazing platform for all niches, industries, and fields. BeTheme is proudly presented as a highly SEO optimized theme that will help any business improve its ranking. Other features of this theme are 280+ already designed websites, page builder, side slide menu, grid layouts, various header styles, powerful admin panel, and built-in mega menus. Use BeTheme to outsmart your competition in every way. Markety comes SEO optimized so those offering marketing, SEO, and finance services are well indexed and rank high in search results. With a beautiful design for leaving a great first impression, Markety comes with project, testimonial, blog, and shop pages. In addition, it can display as one page website, supports the WPML translation plugin, and is WooCommerce ready. Moreover, this fast loading, SEO friendly WordPress theme is compatible with popular SEO plugins (Yoast SEO and All in One SEO), supports Mega Menus for improved navigation, and of course, is fully responsive. 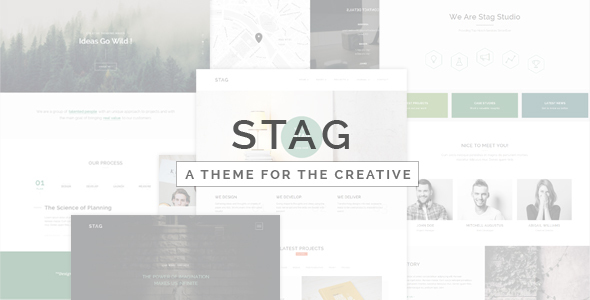 Developed for the modern creative, Stag is a high powered, SEO friendly, and just plain cool looking WordPress theme. Showcasing interactive portfolio sections, advanced typography, and smooth parallax backgrounds, anyone clicking on your website is sure to stick around. More so, this theme was built using SEO best practices and comes fully compatible with popular SEO WordPress plugins for added help in search rankings and traffic boosting. SEO is an optimized WordPress theme focusing on SEO, digital marketing, and social media so that your website is found and shared across the internet. Include a live Instagram and Twitter feed so your site visitors are always up to date on breaking news. In addition, implement awesome pop-ups for building a bigger email list, a mega menu for improving site navigation, and a Contact Form 7 form for staying in touch with readers old and new. Lastly, create a fully responsive, SEO optimized website easily using the included drag & drop page builder. A multi-purpose magazine theme worthy of the investment, Quadrum makes a great first impression. This theme is lightweight, smooth, and fluidly animated; plus, it comes with amazing design and tons of functionality. Quadrum features a visual drag & drop interface and bundles two premium plugins (Visual Composer and LayerSlider). More so, it has its own Banner system, in which you can add images, text, videos or any other type of HTML code. Lastly, it has a powerful and easy to use configuration page and is WooCommerce compatible. Shall we go on? 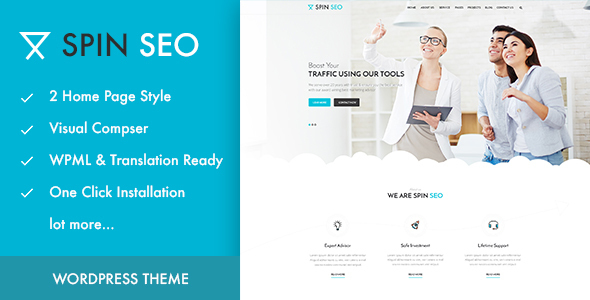 SPIN SEO – SEO & Business WordPress Theme! SPIN SEO is an impressive, highly customizable, unique, cool, and modern WordPress SEO optimized theme. It is very easy to install, and if you are a beginner you can choose one of the already built and designed homepages. SPIN SEO includes a team page, project template, blog variations, 2 premium plugins for free, one click setup, child theme, Google fonts, and smooth transitions. This is a very intuitive theme, but in case you want to know more it has a dedicated support team that is always ready to help. Go big or go home with SPIN SEO! Brixton is a popular and beloved theme because of its gorgeous and intuitive design as well as easy to use theme features. With Brixton you will be able to develop unique websites in no time. 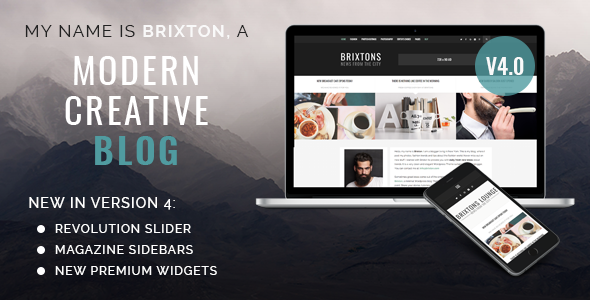 Brixton is a fully responsive, SEO friendly WordPress theme containing a ton of features such as Revolution slider, several sidebar options, video widget, magazine style, various demos, improved SEO code, and much more. Brixton is everything you need if you want to have a high ranking website. TopSEO is a great looking theme, clean coded, and responsive SEO optimized WordPress theme. You can sample it before committing by checking out the demo and the extensive documentation. The support team is also there for you in case you have questions. The team of developers behind TopSEO has crafted something unique and beautiful by doing a lot of research into SEO and digital marketing. 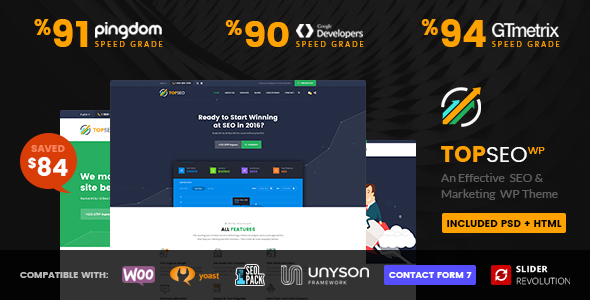 The theme comes with 7 demo layouts, a page builder, amazing premium plugins, PSD and HTML included, speed optimization, real time customizer, mega menu, and unlimited sidebars. This is just a sneak peak of all the features you get with TopSEO! 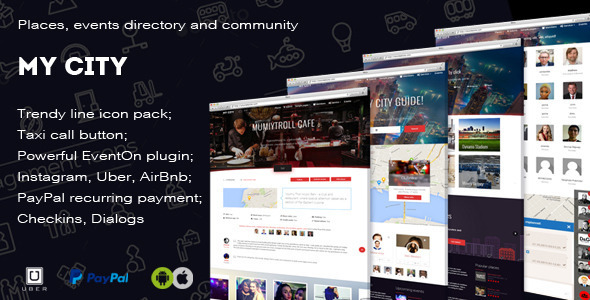 GoodLife is stylish, flexible, and very SEO friendly. Its modern design will help your site stand out from the crowd. 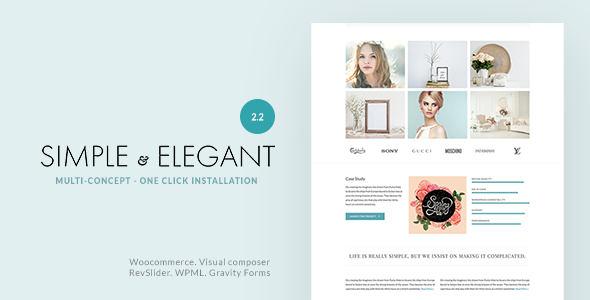 To start, this theme comes with several demos to choose from, beautiful article pages, and eye-catching header styles. It also comes bundled with multiple premium plugins saving you some serious cash. For example, enjoy Rankie, Visual Composer, Essential Grid, Maintenance Pro, and Viral Quiz Builder. Most importantly, GoodLife is speed and SEO optimized, offering great theme performance and Google structured data. With a strong focus on local SEO, My City aims to turn every single website visitor into a social media follower of yours with the My City Promo widget. In addition, it has a built-in affiliate program, built-in and secure payment gateways such as Stripe and PayPal, and even native mobile app support. Lastly, this unique theme using the solid Twitter Bootstrap 3 Grid, has multiple designs to choose from, and of course comes fully responsive and retina ready for the best viewing experience possible. SEO Engine is a responsive, optimized, and stunning solution for SEO companies. It is a simple, yet professional WordPress theme suitable for companies offering services and solutions for their audience. This theme is a great tool to have and it features 12 homepages, awesome loading scores, 15+ header variations, fully responsive layout, custom add-ons, SEO friendly, and more than 800 Google fonts. This theme is SEO enhanced and will provide great rankings regardless of your company’s niche. What more could you ask for? Clementine is an elegant and clean theme that can easily be tweaked to match your style. It was developed with SEO in mind, and it shows in its speed and performance. Coming with multiple layouts, page templates, widgets, shortcodes, and more, this SEO friendly theme has you covered. In short, it’s meant to help you develop any type of website you want and put the focus on content. True Mag sets itself apart from the other SEO friendly WordPress themes because its main focus is video and magazine websites. Following best practices related to user interface, experience, and SEO, this theme has tons of built-in video features. For example, it has a Video Ads plugin, video specific shortcodes, video auto play capability, and even front-end video submission abilities. With so much video and content downloading from your website daily, it is important speed and performance, as well as search rankings, never suffer. That’s why choosing such a reliable video WordPress theme such as True Mag is so important. OceanWP is a delightful, stunning, one of a kind, bold, stylish, multipurpose responsive WordPress theme. It is a solid choice for webmasters for developing beautiful and professional websites. OceanWP comes with features such as advanced mega menu, RTL support, translation ready, SEO optimization, speed optimization, several creative demos, white labeling, Instagram feed, and much more. Completely transform your business and website with OceanWP! Tower is potent, crafty, creative, and easy to use SEO optimized WordPress theme. You can immediately tell this theme was crafted to meet the needs of various businesses and companies. Tower is constantly updated and improved, fully compatible with popular plugins and browsers, and SEO optimized. 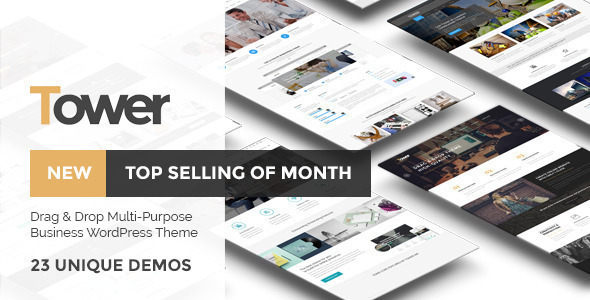 Other features of this theme are 23 designs, powerful theme admin panel, one click demo installer, Visual Composer drag and drop page builder, WooCommerce compatible, unique header styles, and 2 premium plugins. An extensive and powerful documentation is available alongside the theme. Check it out! 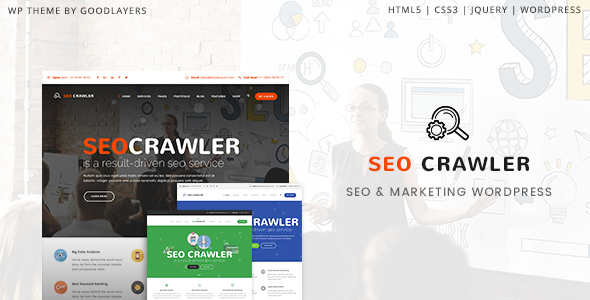 SEO Crawler is an accessible, responsive, visually pleasing, and easy to use WordPress theme. It comes with various high quality demos you can choose from and each design is fully responsive and cross-browser compatible. You can play with layout of the pages as much as you want thanks to the integrated Good layers page builder. Even more, the theme contains 19 header styles, maintenance and coming soon pages, unlimited sidebars, genius wrapper system, Google fonts, Revolution slider, and 14 blog layouts. Say goodbye to low rankings and compatibility issues by using SEO Crawler! You guessed it! This theme is a simple, elegant, and SEO friendly WordPress theme. Using Simple & Elegant you will be able to craft beautiful and professional websites with minimal time and effort. This theme went through a redesign to make it even better and the results are impressive. It comes with more than 300 theme features and options, full control over typography and colors, off canvas menu, compatible with most popular plugins, extended elements for the page builder, compressed files for a faster loading website, totally responsive, and of course, SEO optimized. It is hard not to be impressed with Simple & Elegant! 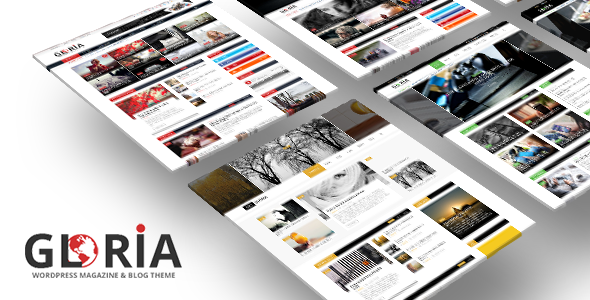 Qoon is a creative and agency WordPress theme with ultra SEO optimization baked right in. For example, the theme’s code is built with SEO best practices in mind, including headings and Google rich snippets. Moreover, its focus on user experience allows visitors to fly through each page while still enjoying things such as Revolution Slider slideshows, Video and Audio clips, beautiful typography, and multiple post formats designed just by you. Altogether, Qoon has you covered when it comes to building a creative, yet SEO friendly, WordPress website. GrowthPress is an SEO-friendly WordPress theme specially designed for digital marketing agencies and SEO companies that care about their organic visibility. GrowthPress is one of the fastest WordPress themes on the market. It scores almost perfect results on both Google PageSpeed & Mobile-Friendly test which affects in higher rankings and lower bounce rates. 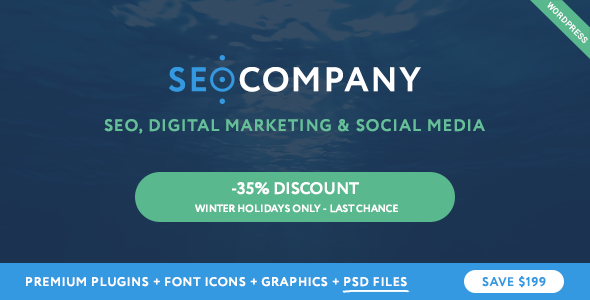 With it's clean and fresh design it can be used as a landing page for your SaaS business, a presentational page of your mobile app, sales page for your online course, generating leads from your e-book or simply as a website for your SEO marketing agency. With a beautifully designed blog and outstanding readability, GrowthPress is the perfect solution for your next content marketing campaigns. With many proven techniques for generating leads, it allows you to turn more readers into newsletter subscribers. GrowthPress is also highly compatible with the WooCommerce, which allows you to set up an e-commerce store in a matter of minutes and start selling right away. Why Choose One of the Best SEO Friendly WordPress Themes Above? In this day and (digital) age, no one can deny the importance of SEO. All website content needs exposure to thrive, and yours is no different. Without SEO optimization, it doesn’t matter how great your copy is, search engines won’t find it. And this means neither will your target audience. However, using a well-crafted, SEO friendly WordPress theme will sustain your optimization efforts and give you a great head start. Before sharing SEO friendly WordPress themes with you, we made sure to keep an eye out for things like simplicity, speed, responsiveness, friendly code, and a clean layout. Because of this, you are free to pick from any of the best SEO friendly WordPress themes on our list and blow your competitors out of the water. 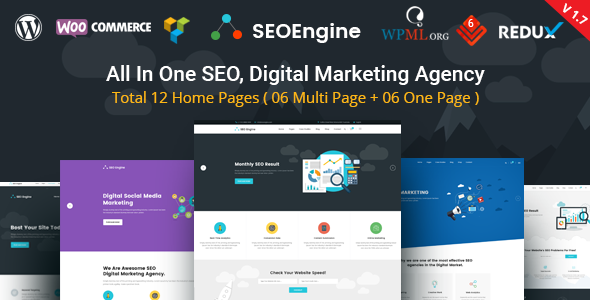 Altogether, they are SEO optimized, come with powerful features, and are easy to install and manage. Minimal hassle, maximum results. While any of the best SEO friendly WordPress themes listed above will boost your SEO rankings, you will also need a long-term strategy to maintain an optimized website. There are plugins you can use to help enhance the performance of your site and various SEO tactics that might come in handy along the way. However, if you are just starting out, choosing an SEO friendly theme is one of the best decisions you can make for boosting your site’s visibility. These really are some of the best WordPress themes. They look fresh and all of them have a different feel about them and SEO friendly, too. I hate it when I see several themes that I fancy. It’s hard making the choice!